In my ongoing search for an appropriate bookshelve I stumbled upon this lovely image of Diane Bergerson. Diane is an Australian interior desginer. Her Interiors are chic, timeless, and classic.Diane juxtaposes high-end furnishings and art with flea market finds to create her innovative and eclectic blend of relaxed glamour. Providing the perfect balance between style and comfort. 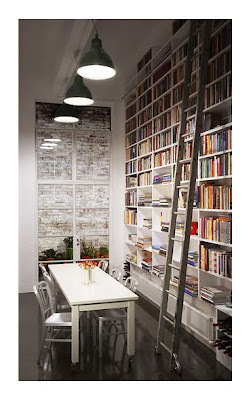 This bookshelve is stunning! Would love to have one like this.